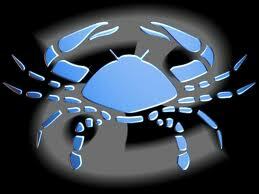 People born between 22nd June to 22nd July belong to Cancer horoscope zodiac sign and it s the fourth sign of the zodiac. People belonging to this zodiac sign are very homely, rooted to their personal space, emotional and sensitive. There is no place on earth that is as good as their home for the Cancerians. Their family and their home brings them greatest joy and comfort in life. They are very protective and nurtureous of their loved ones. They take great pleasure in providing and taking care of their family and have strong maternal instincts. They like travelling but not too far away from home as their heart and soul resides where their home is. Conservative and traditional, they prefer the good old ways of life. Very emotional and sensitive they tend to get hurt very easily and will never forget any rude or mean word spoken to them, even if it was not intentional. Once hurt they will withdraw themselves, like a crab does into its shell and will shut themselves off as long as they do not heal, which takes a pretty long time. They are very possessive and hold on to one thing for a very long period of time. It is very difficult for them to let go, forgive and forget and move on. Cancer Horoscope gives us valuable information about the personality of these individuals like their character, tastes, like and dislike, romance and relationships, career etc. Usually they are introverts and difficult to understand. They do not easily show their emotions and will try to hide their feelings, especially those of being hurt as much as possible. Most of the time they are good, friendly, generous, understanding and generous individuals but sometimes can be really bitter, insensitive, rude and short tempered. However this is not to hurt others, but to protect themselves from being hurt. They build up a wall around themselves and it is very difficult to break that wall and reach the true them. They are very scared of being hurt and protect their emotions ferociously and in the process tend to put on a different personality. Cancer Horoscope Reading is a great way of knowing more about these individuals and doing so will help you understand them better and properly. Some of the positive qualities of Cancers are that they are loyal, patriotic, sympathetic, tenacious, empathetic, persuasive and sensitive towards the feelings of others. Some of their negative qualities are moody, pessimist, suspicious, insecure, emotional and hurtful. In love and romance they are attracted to people who are confident, successful and strong. They want their partners also to be homely and loving. They are most compatible with other zodiac signs like Cancer, Scorpio, Capricorn and Pisces and can be a great life partner.